We offer a variety of dance classes in all genres for ages 14 months thru Adult. Our family oriented studio offers the right blend of learning and fun while instilling a love of dance in all of our students. We are currently in our Spring Semester which began on Monday, January 21st. 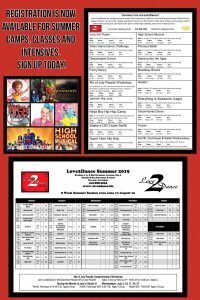 This summer we will be offering Camps, intensives, workshops and an eight week session of Classes from June 17th-August 10th. Registration is now available for Summer! Love2Dance parties are for boys, girls, teens and adults! Check out all our new party options, including bouncy house parties, dance parties and movie parties! 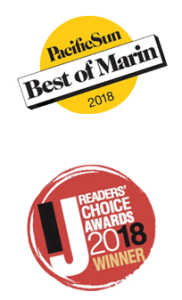 Looking for the perfect class for you or your child? 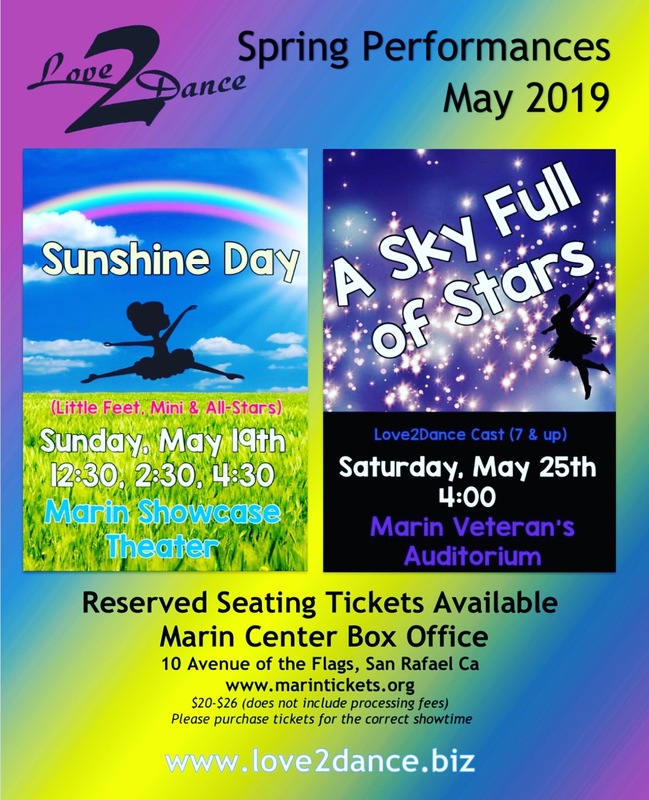 Learn about all the different classes offered by Love2Dance and by some of our community partners at our convenient downtown Novato location. The Place to be for Summer Fun! Summer Classes begin the week of June 17th for 8 weeks. 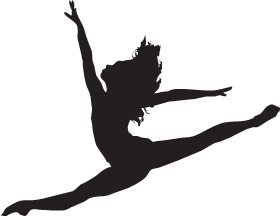 Join us weekly for classes in ballet, tap, jazz, lyrical, contemporary, hip hop, broadway, urban and acro. Register early for your favorite class(es). $120 for 8 weeks (no registration fee). 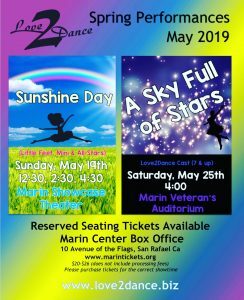 Save the Dates for our Upcoming Performances at the Marin Center! Tickets go on sale on April 24th!